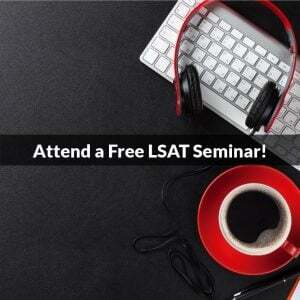 You are here: Home / Logical Reasoning / What Can You Trust in LSAT Logical Reasoning? 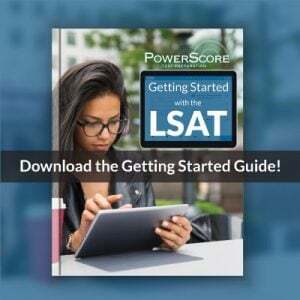 What Can You Trust in LSAT Logical Reasoning? One of the most common questions asked by test takers when considering LSAT Logical Reasoning is “how do I know what information I can accept as fact, and what information I should be questioning or skeptical of?” In fact, this has come up frequently on our LSAT Forum, with a memorable example being a question from the February 1994 LSAT about investments and the relationship of inflation to profitability (second LR section, #24), and a student struggling to make sense of the stimulus because of a multitude of economic considerations not mentioned in the text but with which the student was familiar. Essentially it was a classic case of life experience (outside knowledge) biasing a test taker and leading to some mistaken conclusions. I find myself making a few consistent points in response to the question raised above, so I want to briefly echo them here for a wider audience: the first being a general truth about the LSAT, and the second a more specific truth about Logical Reasoning question types and the nature of the information therein. 1. 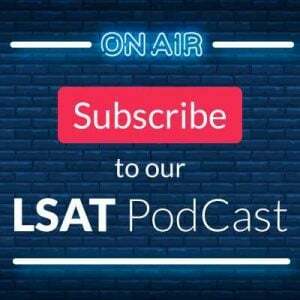 The LSAT is not a subject test. At no point will the test or test makers ever require, or even expect, you to bring in specialized outside knowledge of a particular subject or concept. Up against a stimulus about the likelihood of comets impacting Earth, or a Reading passage about lunar cratering? You absolutely do NOT need any kind of background in cosmology to succeed! The LSAT tests how you think and react to information, not how familiar you already are with that information. So as soon as you feel yourself beginning to analyze concepts/information from your real-world, personal knowledge perspective, hit the brakes! That’s not how this test works and if you filter what you encounter through your own background and insights you’re going to get punished for it. In fact, the test makers know this is a common tendency for people, so they put in incorrect answer choices (and I think even choose certain topics) hoping to trick you as you stray from the explicit text and into your personal experiences. 2. In Logical Reasoning not only can you trust that you’ll be given enough information to determine the correct answer, but you can also make very specific determinations about which part of the question–the stimulus or the answer choices–can be taken as “true” as used as a means by which the other part can be evaluated. And it’s this point that I want to consider further here. There are essentially two types of relationships in Logical Reasoning that the question stem will establish between the stimulus and the answer choices. Let’s examine both types. In the first, the stimulus will be given to you as true, and you will be asked to evaluate the answer choices based on it. The question I reference in the first paragraph here, a Must be True question, is the most common, and probably familiar, of this type. In a Must be True question, the stimulus will provide you with all of the information that you need to find the correct answer. You never need to incorporate extra information that isn’t supplied in, or defined by, the stimulus. Put more succinctly, everything you need is given to you. All that you must treat with some degree of skepticism in this question type is each answer choice, seeking solely to determine if the answer would follow logically from the truths presented above. And other question types fit within this construct as well: Main Point, Parallel Reasoning, Method of Reasoning, Flaw in the Reasoning, Point at Issue, and even Cannot be True. Each of these provides a stimulus where the information can be taken as given. NOTE: this does NOT mean that arguments given in these stimuli are valid! That’s not what I mean by “true.” “True” here simply means that you aren’t looking to refute or correct the stimulus. You simply want to determine what would result from it (Must and Cannot), what best describes it (Main Point, Method, Flaw, and Point at Issue), or what follows the same logical construction as it (Parallel). Accept the specific information in the stimulus, and question how that information would apply to each answer choice based on the question stem. Hopefully you can see how crucial it becomes to consistently recognize the different question types and the “true vs questionable” relationship that each establishes between the stimulus and answer choices. Each of the question types mentioned above is represented by very specific, very recognizable question stems, so identifying each type on test day can be a straightforward task if you’ve studied them, but it is a task that is absolutely foundational to your ultimate success on the LSAT. So be sure you can identify each type quickly and accurately before test day.